We have been coming to Cape Coral since 1999 & we have done many things which you might like to experience. So here we tell you about our favorite Cape Coral restaurants,bars,activities & boat trips which you might like to try while on vacation. 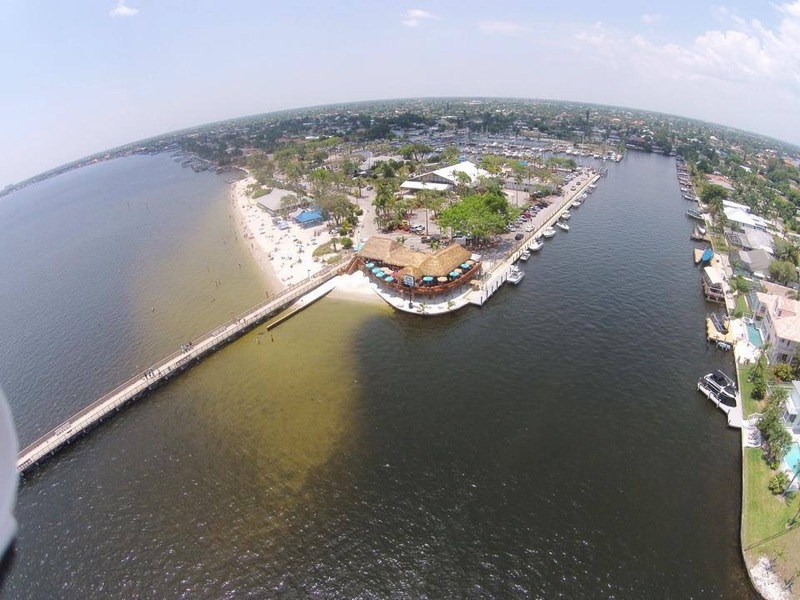 Villa Del Rio is located in the Cape Coral Yacht Club area (aerial photo of the area lower down the page). Close by is a sandy beach and fishing pier on the Caloosahatchee River & the newly opened Boathouse Tiki Bar & Grill, the best place to eat & drink on the beach. We have had many happy vacations in the Cape & below are some of the places & things we love to visit & do while we are in the Cape. We hope you get to enjoy some these activities.